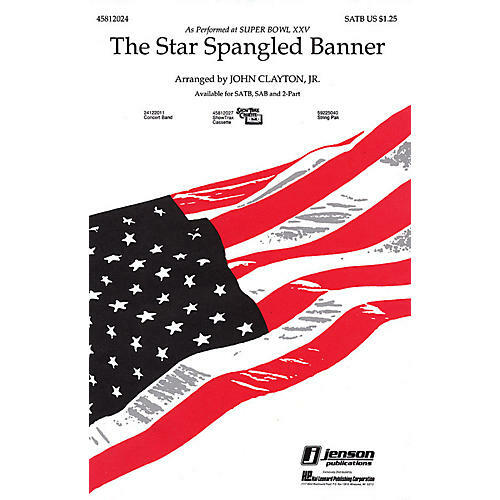 Hal Leonard The Star Spangled Banner 2-Part Arranged by John Clayton, Jr. The exhilarating arrangement of our National Anthem as sung by Whitney Houston at Super Bowl '91! Whitney's arranger, John Clayton, Jr., has adapted his contemporary orchestral score for choir and band. Available: SATB, SAB, 2-Part, Concert Band. Performance Time: Approx. 2:15.